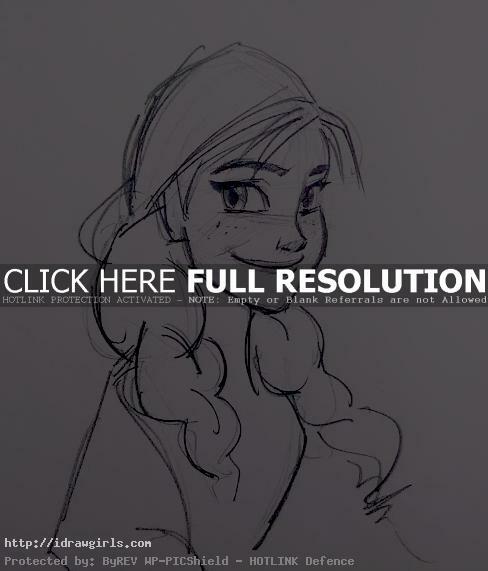 How to draw Anna from Disney Frozen. Learn to draw basic drawing cartoon. Princess Anna of Arendelle is the main protagonist in the 2013 Disney animated feature film Frozen. She is the fearless, spunky and innocently-awkward younger sister of the powerful Snow Queen Elsa and embarks on a perilous journey to save her kingdom from an eternal winter. Below are step by step to supplement the drawing video tutorial.